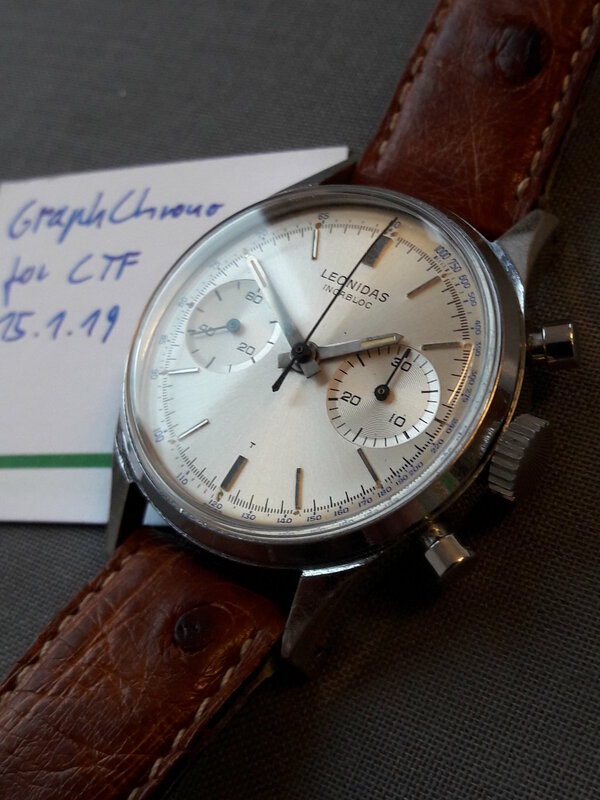 over all condition is good, very clean dial with blue tachy scale, movement Landeron 148 is running very reliable, all chrono-functions including reset to zero are working correct. Case: ca. 36 mm without crown. Case shows some signs of wear. Head only.